Sheri Hedlund holds the position of vice president of US channel sales where she leads Dell EMC's indirect sales execution. She joined Dell's channel organization five years ago as executive director, ESG channel sales where she led the North America enterprise sales and engineering specialist teams. 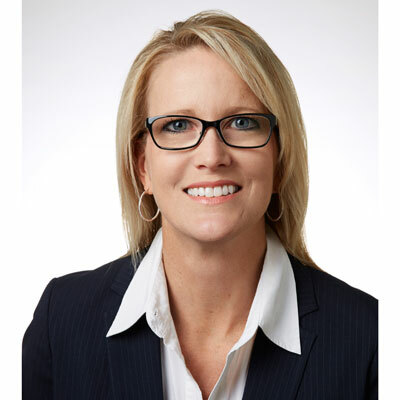 Prior to joining Dell EMC, Sheri served as vice president of product marketing at Tech Data Corporation where she led sales, marketing, reseller enablement, technical services and supply chain operations, supporting the pan-HP solutions portfolio. Previously, Sheri spent 12 years at progressive leadership positions with Compaq/Hewlett-Packard as director of US PSG channel business management, worldwide product marketing for wireless devices, and commercial programs manager for the Americas Region. Prior to joining Compaq, Sheri was director of product development for Cynet, Inc. where she led the integration of wireless technologies into small standardized form factors and held other sales executive roles in the telecommunications industry. Sheri earned a Bachelor of Arts from Texas Lutheran University and currently resides in Austin, Texas. Two personal accomplishments for me this year have been building out our Dell EMC Partner Program to enable our partners to grow and succeed, and building out the organization to execute against the program and our partner's strategic growth plans. I had the opportunity to build three channel sales teams from the ground up to execute the integration of Dell EMC. These teams aligned the merged channel sales team with the newly integrated commercial and enterprise go-to-market motions of the combined companies. I also led the onboarding of a new sales organization fully focused on commercial storage acceleration. While we will continue to refine and improve our model, I believe that the execution of these organizational and programmatic accomplishments place us in a more competitive position. The leaders I work with, the leaders who serve these sales teams, and the account managers we've assembled are truly some of the top talent in the industry and my successes are only possible through their teamwork, support and collaboration. I'm very proud to be a part of this winning team! We're fully committed to being the #1 channel partner in the industry. We're enabling our partners to lead customers on a digital transformation to advance human progress, from the edge to the core to the cloud. Through our Dell EMC Partner Program, our partners are seeing exponential growth, fueling their business so that they can open more doors and invest in the future with us. Driving profitable growth is our sales priority and we'll do it by enabling our partners to win new business, increase services, attach and sell a rich portfolio mix with rich incentives. The greatest award received this past year was to be recognized again by CRN as a member of the "Power 100 - the most powerful women of the channel." It is an honor to be recognized among such a talented group of women. It's validation of my contributions to Dell EMC and the channel community, as well as clear recognition of all those who work alongside me who make my ideas and efforts a reality each and every day. I have always admired Audrey Hepburn for her many talents, beauty, grace, graciousness, and philanthropic contributions. Her early life was fraught with obstacles that most of us cannot comprehend, yet she never lost sight of what she was after, what was possible, and, most importantly, she never let go of what once was. This positive attitude gave her the ability to go after every opportunity and pursue a very successful career while keeping her values along with her legendary approach of graciousness and care toward every person she met. There's a long list. What rises to the top: You have choices and only you own your decisions. Choose wisely and thoughtfully. Choose to focus on your health and how you use your time. Choose to slow down and be in the moment. Choose half-full. Choose to focus on the things that matter and what brings the most lasting joy, such as love, accomplishment, fortitude, giving, teaching and learning instead of temporary, material things. When you make the wrong choices, learn from them, do your best to not repeat them, and move on. I would like to master storytelling. While it may not sound like a job-related skill at first, I believe that intertwining meaningful stories into our everyday communication, sales and presentation skills makes conversations more relevant, memorable and impactful. A relevant story transforms a basic message into one that becomes real. I think back to some of the most impactful discussions and presentations and the key themes generally surround a story that the audience can relate to. "Strong is the New Pretty: A Celebration of Girls Being Themselves" by Kate T. Parker - As a working/traveling mom, I try to make the most of my time with my kids. My daughter and I really enjoyed reading this book together. Not only was it wonderfully written, but also captured the messages with great photography that helps reinforce the message to young girls that "pretty" is seen and experienced in many different forms. It inspired both of us to talk through situations, share stories, and gave us another reason to spend quality time together.